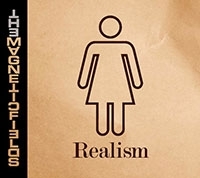 I hope you’ve had the chance to check out Realism, the fantastic new record from The Magnetic Fields. Now it’s time to show your support by starting to give it some spins and reporting it as an add. Favorite tracks might include: #1 (“You Must Be Out of Your Mind”), #12 (“The Dada Polka”), #6 (“Everything Is One Big Christmas Tree”), and #3 (“We Are Having a Hootenanny”). The whole album is FCC clean.